Is to provide safe and reliable charter transportation at a reasonable price with Courteous and Professional Drivers. To also provide our customers with a Fun and Safe traveling experience. 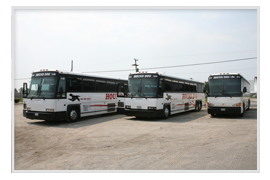 Hound Dog Bus Service is a family owned and operated company. 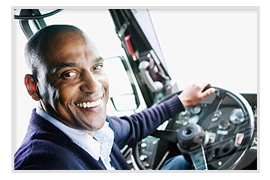 We have been providing safe and dependable transportation since 1985. Our knowledge in the travel industry was provided many many years ago by the late Nathaniel Alexander, the owner and operator of Alexander Bus Company. We are so thankful for his guidance and wisdom that he gave over the years. Thanks to Mr and Mrs Alexander, Hound Dog Bus Service was born. Hound Dog Bus Service has modern MCI 47 and 55 passenger coaches that are ON THE RUN! Hound Dog & Son Bus Service is an extension to Hound Dog Bus Service. Hound Dog & Son was started in 2006 with the guidance and wisdom of his Family. I am so thankful to have a solid foundation to build on and to continue the legacy. 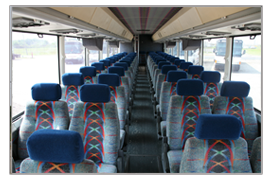 Together, we make an awesome Bus Service for all of your charter travels, touring and transportation needs. We specialize in all types of groups and events, including but not limited to churches, schools, colleges, athletic teams, sporting events, conventions, shopping trips, social clubs, casinos, family reunions, cruise shuttles, etc. We maintain a fleet of well maintenance coaches.